A German Panzer III in the streets of Maastricht. 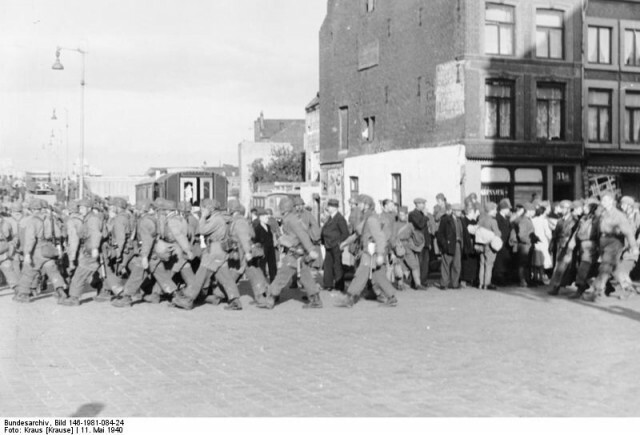 In the morning of May 10th 1940 the German Army invaded the Netherlands. Below are a set of pictures that were taken by the accompanying war photographers. We do not try and paint a complete picture of the fighting, it’s a lose collection of images relating to the battle. 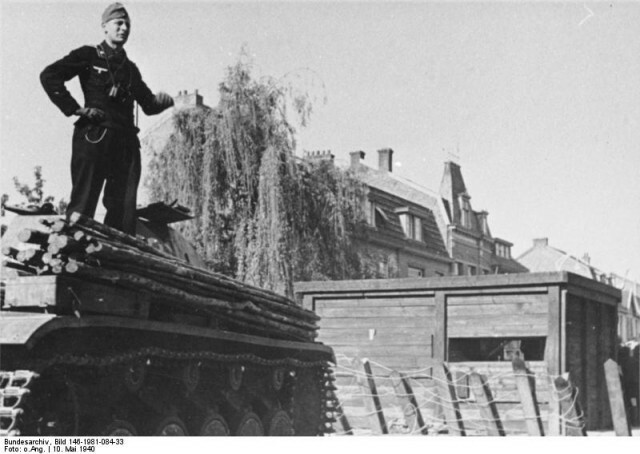 All images courtesy of the Bundesarchiv / Wikimedia commons. Maastricht, in the extreme South of the Netherlands was attacked in the early morning of May 10th 1940. 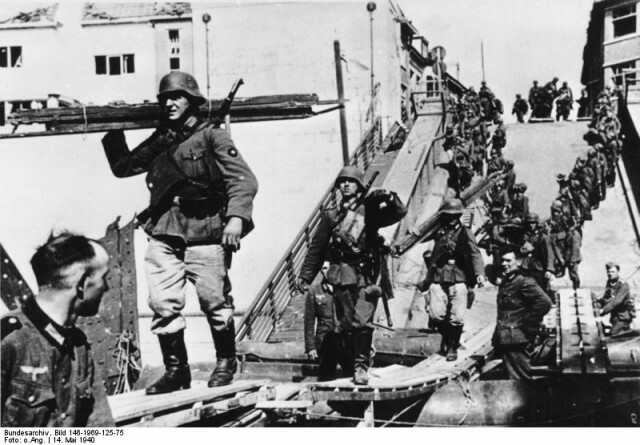 German Engineers build a temporary bridge at Maastricht. 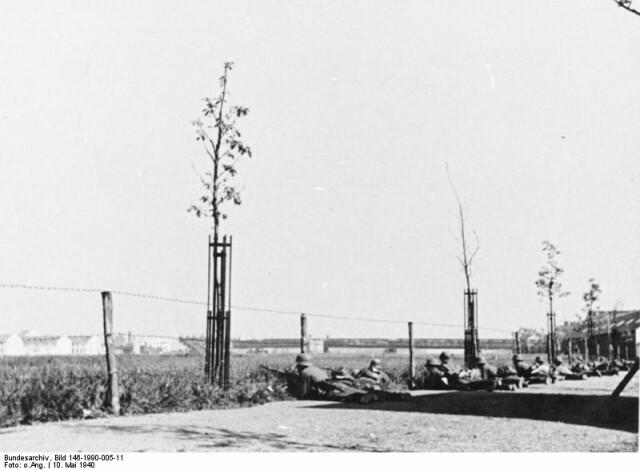 A German tank (Pzkfz III) in front of an anti-tank obstacle. 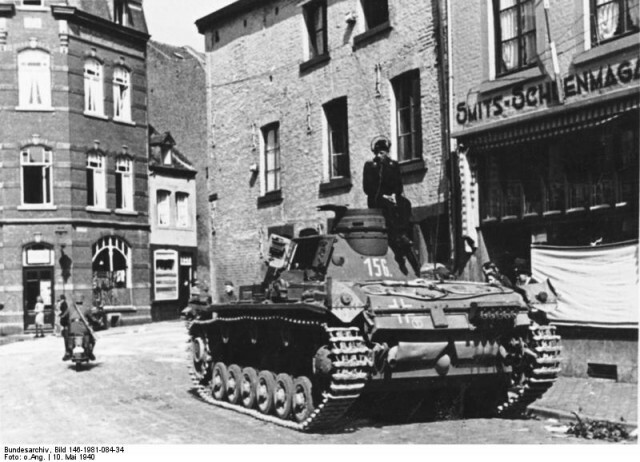 A German Tank (Pzkfz III) in the streets of Maastricht. 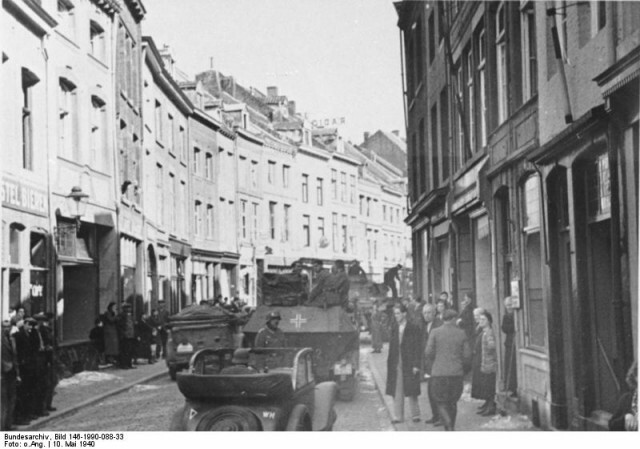 German troops and equipment in the streets of Maastricht.